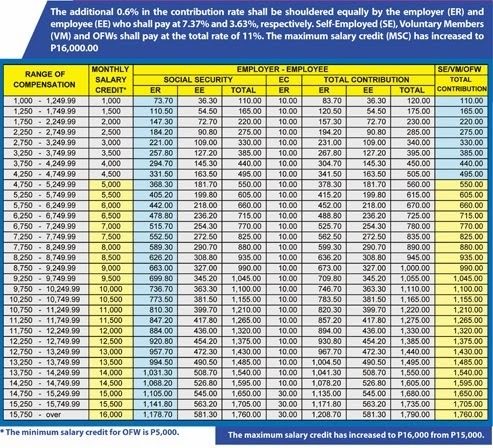 Higher SSS Contribution Starting January 2014 - By How Much & For What? If you’re not in the habit of watching the news (which I can’t blame you for, it’s all bad news everyday) you may not have heard that Social Security System (SSS) will increase the contribution requirements from it’s members starting in January of this new year. For employees of private companies in the Philippines, this piece of development concerns them since they are most likely SSS members. 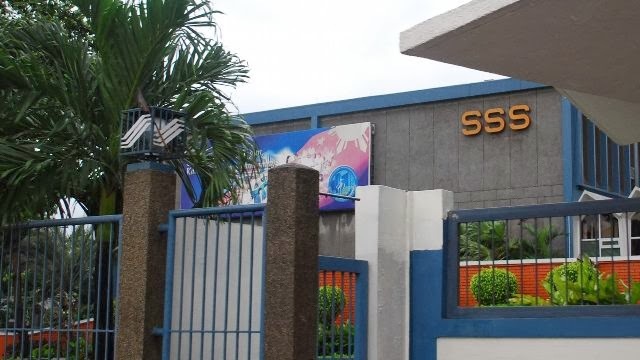 It’s been reported that there are 30 million SSS members in total. (People working in the private sector are mostly mandated by law to be SSS members while those working in government are with Government Service Insurance System - GSIS.) That’s a lot of people affected by this hike in contributions. How Much is the Increase? If you were not aware, SSS was originally collecting 10.4% of monthly salary. Now they want to make it 11%. So they say that they have increased the rate by just 0.6%. That is technically true. But don’t be fooled into thinking that your monthly contribution will increase by just 0.6% because they were just being tricky about this. For people earning over the new maximum monthly salary credit of 16,000 pesos, total contribution including both employee and employer share will increase from 1,560 pesos to 1,760 pesos. The maximum monthly salary credit used to be just 15,000 pesos so 10.4% of that was 1,560 pesos. For all those earning at least 15,000 pesos, this was what they contribute because this was the maximum. That amounts to 500 pesos from employees while 1,060 pesos was shouldered by the employer. With the new contribution scheme, SSS increased the maximum to 16,000 pesos. If you’re earning over this maximum, then you’re looking at a contribution of 581.30 pesos every month while your employer contributes 1178.70 pesos to it. Compare that from what you used to pay of just 500 pesos, now you’ll be paying 81.30 pesos more if you are employed. The case would be different for people earning lower than 16,000 pesos but for those who are being paid higher than this maximum, their contributions will increase by 16.26%. Their employer, however, will see their portion of your contribution increased by just 11.20%. SSS has released a new contribution matrix to show people exactly by how much their contributions will increase. For those employed, it even breaks down between employee and employer contributions. I have reproduced that contribution matrix below. Your sickness benefit will go up from 450 per day to 480 per day. If you’re pregnant, your maternity benefit will increase as well. But if you’re not moving from your previous monthly salary credit, tough luck. You’re getting nothing in return. For those who will stay at 15,000 pesos for example, that’s an additional 45 pesos for employee share with no additional benefits in return. This increase was said to have been approved in order to extend the life of the SSS fund. That statement drew the ire of most members because that implies SSS needed to reign in on their cash flow while they have admitted to awarding exorbitant bonuses. So they promise to give better services instead in order to appease everyone. We’ll have to wait and see if that comes about. I highly doubt it.